Your Conservative County-Councillor for Horsley Division is Councillor Kevin Buttery. Kevin has served as your County Councillor since 2013 and has worked hard to achieve some of the road repairs this area desperately needs and improve safety on our highways. Kevin has secured highway safety improvements such as traffic lights and crossing points in Denby, Horsley Woodhouse, Kilburn, Smalley and Heanor. He is also actively campaigning for changes in how the community can protect grass verges, whilst still maintaining highway safety. 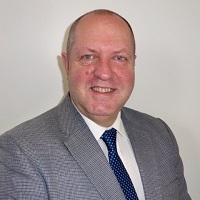 Kevin believes in responding to telephone calls, letters and emails as soon as he can and has helped many residents, whether it be due to highway safety, flooding, anti-social behaviour, all aspects of social care and educational support. Alongside this, he’s supported local voluntary groups, such as scouts, guides, rainbows, play groups, community transport, carnivals and village halls, who all make a valuable contribution to our communities.